It’s attributed to various people who seem like they might have said something like that, David Byrne, Frank Zappa, Elvis Costello, Brian Eno, even Thelonius Monk. I’ve seen it on T-shirts, I’ve heard it in conversation, and people have said it to me, with a wry expression, when someone has written something dumb about music, especially if that writer is me. The message is that writing about music is a pointless exercise, an absurd thing to try to do. What do you do with music? Certainly you don’t write about it. 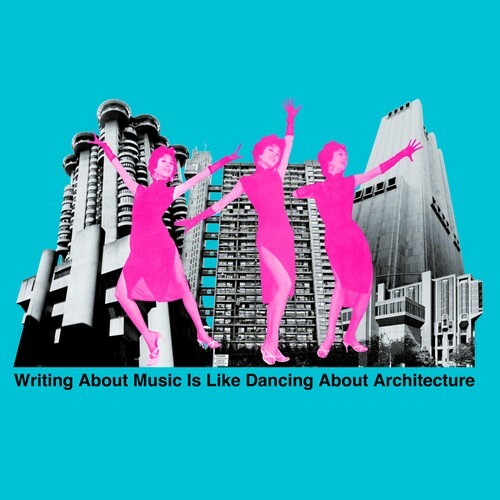 That would be as stupid as… dancing about architecture. When confronted with a bit of music, here’s what’s you do: you sway jerkily from side to side, crumple into a ball in the corner weeping, smash something with a hammer, drunkenly yell a slobbery approximation of the lyrics in the ear of the pretty young girl seated next to you at the bar. But for God’s sake, don’t write about it. You’re young and free. Stop the writing. Get out there and LIVE, damn it! So, I get it. And I suppose my own song “I Wrote a Book about Rock and Roll” grazes against the same broad message. It’s kind of funny to write about rock and roll, especially when you do it with a lot of attitude and self-importance, when rock and roll itself is chiefly concerned with rocking and rolling, not typing. But the saying has nevertheless always bugged me (yes these are the kinds of things my aspergery mind retains and obsesses about) because, well, it doesn’t quite work, logically or grammatically, does it? Because you don’t dance “about” something, as the word “about” is obviously meant here. I mean, in the archaic sense of “around” you could say “say fellows, here’s an idea: let us dance about the Empire State Building. With gay abandon, if possible.” Or I suppose, at a stretch, you could construe it as referring to an “interpretative dance”: this is my dance about the Albany Post Office at Three in the Afternoon in the Middle of a Downpour with a Homeless Woman Crying about South Africa. If you ever attended a liberal arts college, you probably wound up dating a couple of girls who would say stuff like that, but I doubt that’s what “writing about music is like dancing about architecture” is getting at. 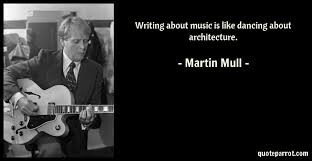 Writing about music is like dancing to architecture. You dance to something, not about it. But no one ever, ever says it like that. Whoever first cast it as a grammatically and logically nonsensical construction cast it pretty permanently. When people quote it, they are quoting it accurately, even though it’s wrong. Wrong, yet accurate. And my asperger-y brain finds that pretty interesting in and of itself. 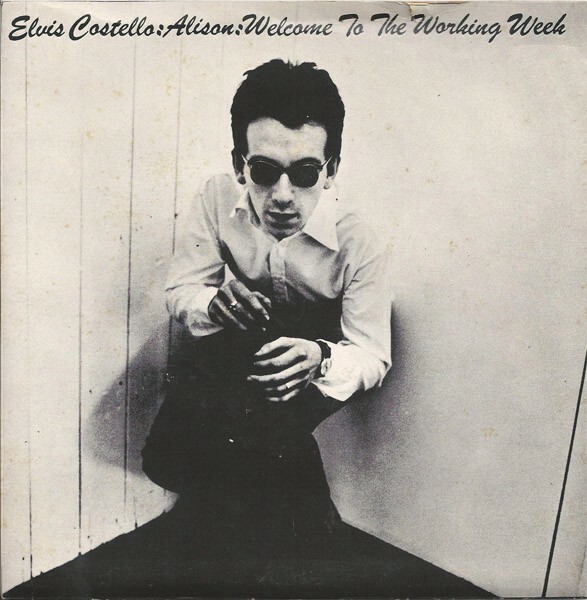 Strictly considered, writing about music is as illogical as singing about economics. 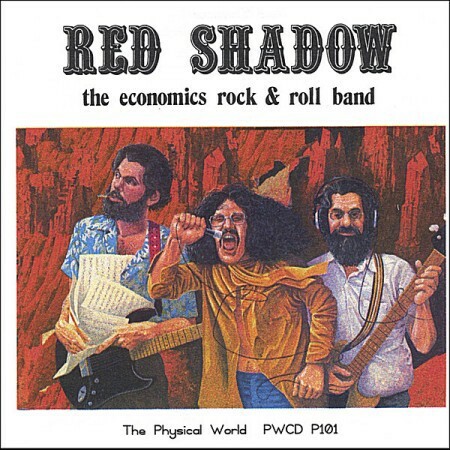 Grammatically, and logically, that’s just fine, and you see what it’s getting at, though I can think of at least one example of singing about economics that at least arguably belies it. Or maybe it bears it out. Either way, I welcome the opportunity to allude to Red Shadow. Such opportunities are quite rare. When I’ve mentioned this before, I’ve got surprising pushback — well, I was surprised — from those who argue that this very grammatical awkwardness, the misuse of “about” and the verb “to dance” is in fact an essential part of the formulation, a kind of compact meta-commentary that deliberately fractures the grammar to underscore the absurdity being showcased. You can see this sentiment expressed and argued about in the comments here if you like. I still disagree. And I doubt very much that Martin Mull’s casual throway interview line was the result of such a careful deconstruction of the grammar. Then again, I wouldn’t put anything past him: I can’t discount the possibility that he and his buddy Elvis cast the saying ungrammatically in a deliberate attempt to annoy me and people like me forty years later. The more interesting idea here is that it is the grammatical error itself that makes people like this formulation so much, the theory that people just instinctively prefer the ungrammatical and the illogical, to such a degree that the poorly-conceived, the stupid, and the wrong-headed will always win in a Darwinian struggle for survival in the popular imagination. Anyway, even when formulated correctly, and even though it sounds like the kind of thing a guy like me might think, I’d have to say I still disagree with it, mostly. Writing about music may not be the best use of your time (depends on how much they’re paying you, and these days it’s probably not much.) But dancing to architecture? That’s just fucked up. I am Dr. Frank. I write books and songs. Mtx Forever.